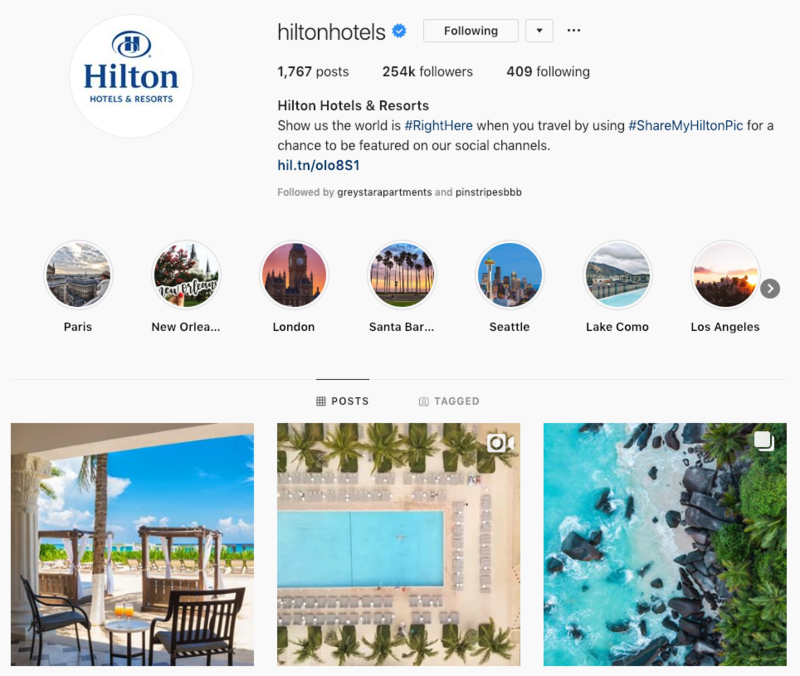 Social media has become of the most prominent channels for businesses to market their goods and services, and the hotel industry is no exception. A large piece of social media and hotel management is customer care and online reputation management. Hotels that leverage social media marketing see increased customer retention, loyalty and trust. Believe it or not, a lot of hoteliers are not using social media or visual marketing properly. They’re either not investing the right resources or simply not leveraging it at all. Whether you’re a small boutique hotel or a large hotel franchise, investing in the right social media channels is well worth the effort. And if you’ve yet to add social media to your digital marketing mix, here are five easy hotel social media marketing tips to get you started. Consider this: 70% of companies ignore customer complaints on Twitter. That’s majority of businesses, and not a very good look for them. Twitter may seem to be slowly fading into the distance when compared to other social channels, but it’s still highly lucrative for big businesses, especially in hospitality. Twitter is the go-to place for most social media outreach and, unfortunately, complaints. But complaints happen, and a lot of them end up on Twitter with the company’s Twitter handle attached. As a hotel, having your name dragged through the mud on Twitter isn’t going to fair well for your brand. Keep a consistent schedule to monitor tweets coming in from people about your hotel. What are they saying? If they’re asking a question, respond. If they’re leaving a review (good or bad), respond. An engaging, attentive brand on social media increases loyalty and trust within that organization, so ensure that you’re keeping close tabs. It’s time to embrace live video. Live video will continue to take over 2019, and if you’re not leveraging video on Facebook, Instagram or IGTV, that’s valuable content not getting in front of your customers. These resources are a great way to show off the hotel property, events, or even guest or employee testimonials. The key is to be frequent and consistent with your live videos. If you post one live video, consider keeping that up with a schedule, whether that’s weekly or monthly to host a live video session. Instagram is a powerful marketing tool for hoteliers, but consistency and quality is of the most importance. And while growing your Instagram account takes time, brands with empty Instagram pages show lack of engagement or customer care. Show high-quality photographs of the property, showcase events, publish videos and much more. Instagram really gives you the creative freedom to market your hotel any way you like. And it’s no wonder why Instagram has become so advantageous to marketers — 40% of people will respond better to visual information than plain text. Keep an Instagram schedule and stick to it. You want to be in people’s feeds as much as possible, as Instagram has become one of the most popular social channels and is growing increasingly competitive to stand out. But if done right, your hotel will certainly reap the benefits. As we all know, the hotel industry is busy and employees can’t have their hand in everything at once. And we know that quality customer service is at the center of the hospitality industry. Thankfully, the chatbot has come to the rescue. Facebook Messenger offers its own bot to answer questions on the spot when a human can’t be present. 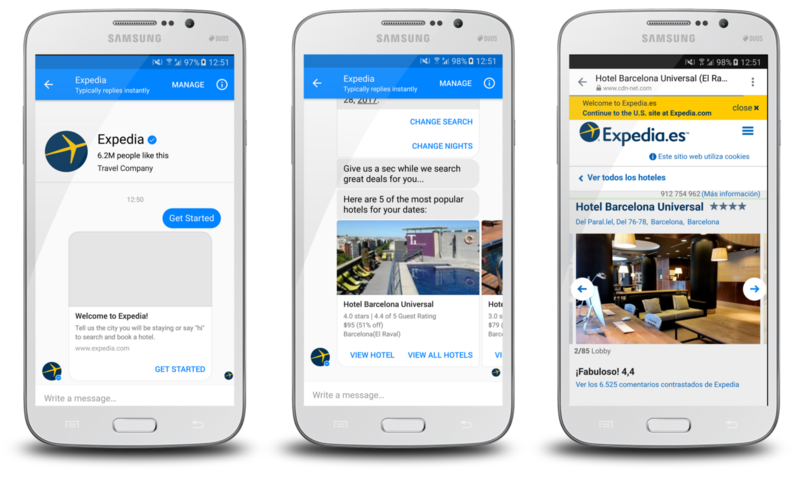 Want to set up your own hotel Facebook Messenger bot? Here’s how. Here's a fantastic example of Expedia using their Facebook Messenger Bot to answer common questions. What’s great is that a human can jump in any time to help assist if your bot can’t answer the right questions. One of the most important pieces of advice we can give is to always be mixing up your content. Mix it up between photos, videos, virtual tours, Instagram Stories and blog posts. Leverage digital content through your social media channels and always be testing new ways to capture your audience and really pull them in. Your audience will grow bored if you’re sharing the same information over and over. Be innovative and explore what resonates best with your hotel guests. Let us know if you need help marketing your hotel space to guests.